Freeze dried mango " Nam Duk Mai " From Thailand . 100% Vacuum freeze dried mango : Healthy dried fruit snacks . New Item ! Natural purple powder from Purple sweet potato powder ! 100@ purple sweet potato only! Mangosteen Juice 100% from Thailand [ Thai Ao Chi Brand ] : 100% FRUIT JUICE . We are leading brand in Thailand, export Frozen, freeze dried fruits & powders by HACCP, ISO2200, GMP, HALAL, EU, USDA, we owned our raw material collection station in East & South, offer one stop service with high quality natural product in retail & OEM. Thaiaochi fruits Co., ltd. Is a leading export Co in Thailand, we offer all size of vacuum freeze dried fruits slice, dice, and powder, Dehydrated fruits, fruits candy, fruits juice and snack food . . .
Our company has exported many products of Thailand to all over the world at past 10 years, offer as Thaiaochi brand and OEM service, We use best quality products and packing. Good taste of Thailand special products. Our factory has certification of HACCP, GMP, ISO 22000, HALAL. This assures that we provide high quality fruit and snacks products to clients and costumers. 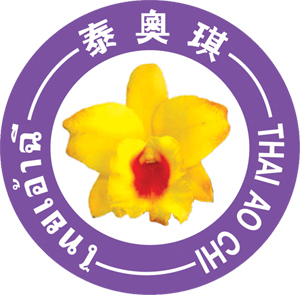 For more inquiries about us, please do visit our website www.thaiaochi.com. Looking forward on dealing business with you in the nearest future. Thank you very much.